What Does the Color of Your Mold Mean? Whether your mold is yellow, green, pink, brown, or black, it is hazardous to your health and should be treated immediately. 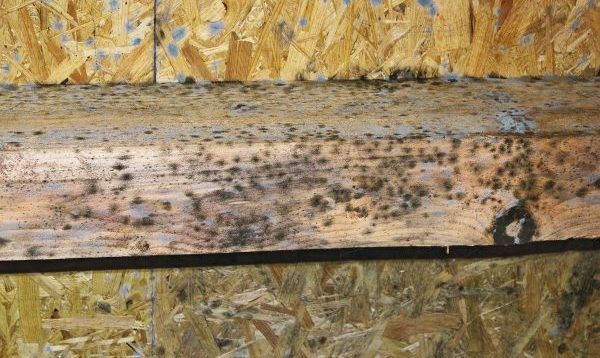 Continue reading to learn what the color of your mold means, including what it is and where it grows. Pink ► Pink mold is often seen in the bathroom or kitchen, but it is not actually mold at all. It is a bacteria called Serratia marcescens. Although not a mold, it still presents hygiene and health issues, like urinary tract and respiratory infections. Green ► Green mold is very vague since it can be any kind of unpleasant fungus. There are literally thousands of species of green mold, so green mold doesn’t tell you much, expect that it needs to be removed. Greenish-Black ► Mold that appears greenish-black in color could be Stachbotrys genus, which is also known as the dreaded “black mold.” Exposure to such mold has been linked to serious health conditions. It commonly grows on high-cellulose, low-nitrogen surfaces, such as drywall, gypsum board, paper, dust and lint that is constantly exposed to moisture. Black or Gray ► Mold that is black or gray might be Alternaria, which is one of the most common types of outdoor mold. It mostly grows near damp, dusty areas, as well as, soil and plants. It is often found in household dust, so be sure you keep up with your routine cleaning. Blue, Green, or White ► Molds of these colors generally point to the Penicillium genus. Several years ago, this species of mold was used to make penicillin. Nowadays, it is usually found growing on food or on walls. It can cause allergic reactions, allergies, and other respiratory problems. Yellow, Green or Black ► Mold that appears yellow, green, or black could possibly be Aspergillus mold. According to the CDC, we breathe these molds in almost every day without getting sick. However, concentrated exposure can be hazardous, especially for those with existing lung problems or suppressed immune systems. In individuals like these, it can cause aspergillosis, which presents itself as coughing, wheezing, and sinus inflammation. Olive Green, Gray, Brown, or Black ► Molds that appear in these color formations likely belong to the Cladosporium genus. You can find this mold growing indoors and outdoors, on plant leaves, soil, walls, insulation, and damp carpeting. According to the CDC, they are most commonly linked to minor health complications like skin, eye, and sinus infections; but they have also been known to brain infections like fungal meningitis. For these reasons and more, mold should be removed as soon as it is discovered, regardless of color or quantity. After you outsource mold remediation services, contact a trusted Indianapolis home remodeling company for demolition, drywall replacement, painting, and more. 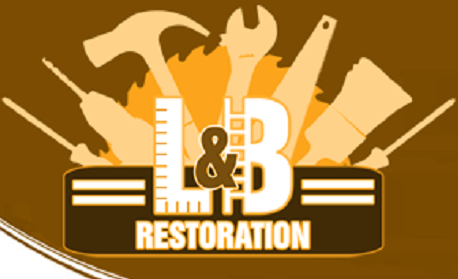 Call Restoration By L & B, LLC at 317-454-3612 for professional home remodeling and drywall services in Indianapolis, Indiana. We are licensed general contractors who offer a wide range of residential and commercial remodeling services, including interior and exterior painting, drywall replacement, and more. And We guarantee to BEAT any competitor’s price! This entry was posted in Home Remodeling and tagged brown mold, green mold, Indianapolis home remodeling company, mold color meaning, mold colors, pink mold. Bookmark the permalink.